Hello friends! I am super excited to be a Guest Designer for Jaded Blossom this month. Let me tell you! You are going to just love this entire release. Today is Day 2 of the Jaded Blossom June Release! 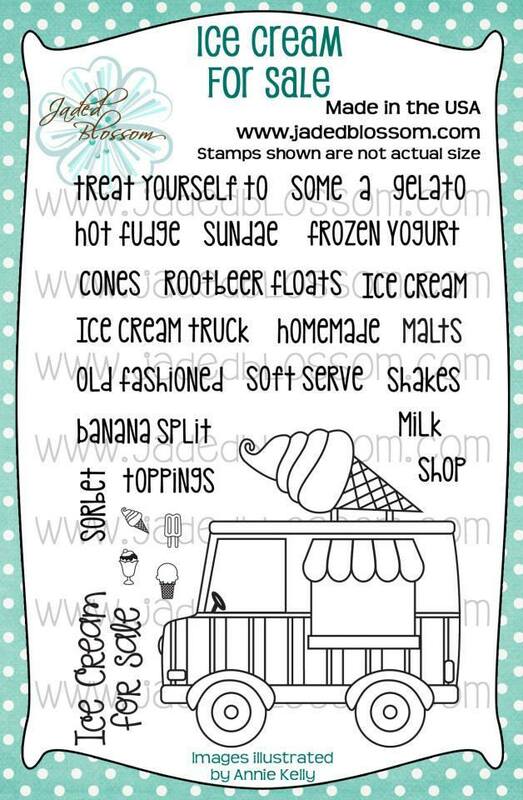 We are showcasing 2 Stamp Set! 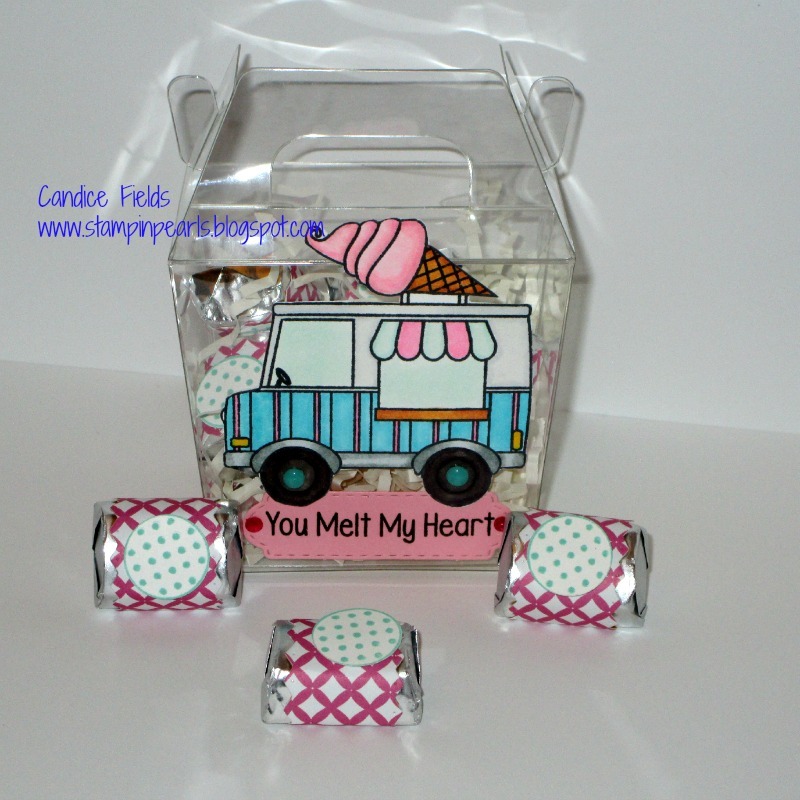 For today's project, I decided to use the Gable Boxes sold by Jaded Blossom. It's super easy to put together. 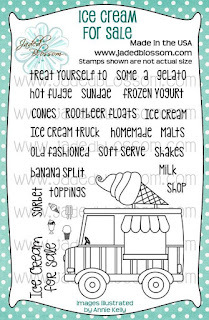 I decided to use the adorable ice cream truck from the Ice Cream for Sale set. I used my Spectrum Noir markers for the coloring. 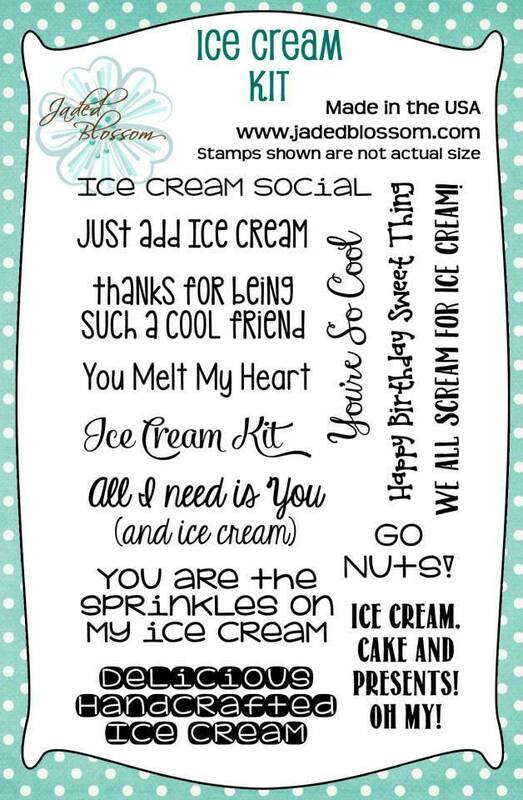 The sentiment is from the Ice Cream Kit set and I used the Mini Tags Die 2. 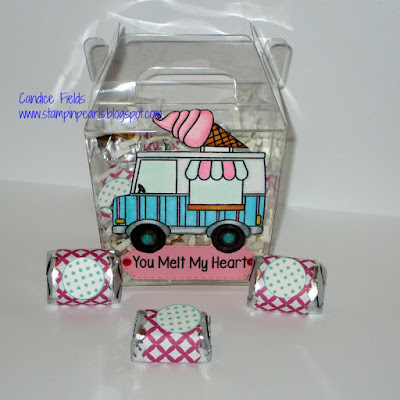 Lastly, I decorated the nuggets using the Candy Wraps Die and the Pattern Candies stamp set. I just love everything about this release. 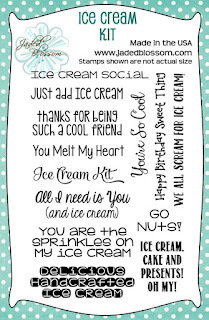 Don't forget to stop by Jaded Blossom's blog to see what the Design Team has created! Super cute and great coloring! such a cute truck you colored it so cute !! !